| Posts with tag "paintless dent removal"
There’s nothing worse than the feeling of finding (or causing!) a dent in your car’s body. Don’t worry, though — most of the time, removing small dents is easier and less expensive than you might think. You have a couple of choices for removing dents: You can try to remove the dent yourself, or take it to a paintless dent repair professional. Your decision may depend on how bad the damage is. There are a couple of different ways to try to remove dents yourself. These methods work best if there is no creasing to the metal, if there are no cracks in the paint, and if the dent isn’t so deep that the metal has stretched. As long as the dent is just a shallow section of metal that has popped inward, it can usually be popped back out again without too much trouble. There are two basic ways to pop out a dent: using a suction cup to pull the inverted metal back into place; or heating and then rapidly chilling the metal to cause it to pop out on its own. Using suction: You can try to pop out a dent using a plunger or another suction cup that is larger than the dent. Use a hairdryer on medium to gently heat the metal and paint, being careful to hold the hairdryer about six inches away to avoid damaging the paint. Then hold the plunger so that the suction cup completely cover the dent, push it in, and pull out. The suction should pop out the dent. Using heat and cold: Sometimes heating and then rapidly chilling a dent will cause the dent to return to its former shape. Heat the metal with a hairdryer on medium as explained above. You can chill the metal by either spraying it with a can of compressed air held upside down, or holding a piece of dry ice over it. If you’re not able to remove the dent yourself, if you have more serious damage that requires more work, or if you are concerned about making the problem worse, you may choose to take the car to a dent repair specialist. If there is no damage to the paint and no creases in the metal, paintless dent removal is often the least expensive way to repair the damage. The dent is popped out from the underside of the panel and the metal is returned to its original shape with the use of special tools. Repairs can be done in a few hours, with no need to use filler, blend paint, or allow the paint to cure. However, if there is damage to the paint, if there are creases in the metal, or if the dent is not on a fairly flat expanse of metal, the body shop may need to use filler, sand, and repaint the area. These repairs will generally take a few days, so that the filler can dry fully and the paint can cure. Whether you want to try removing the dent yourself or take it into a paintless dent repair shop or body shop is a personal decision, and should be made based on how familiar you are with working on your car’s exterior, and how confident you are that you can repair the dent without creating additional damage. Have your headlights gotten cloudy, or maybe even yellowed? Have you noticed you can’t see as well at night? Modern cars use plastic headlight assemblies that are susceptible to damage from the road and the sun over time. 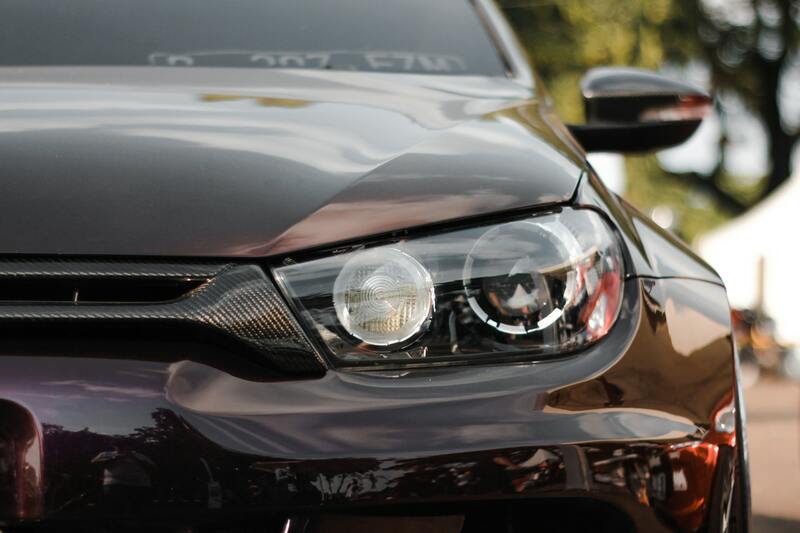 Luckily, a body shop, or a paintless dent removal professional can restore clarity to your headlights, making them shine as brightly as they did when the car was new. Here’s what you need to know about headlight restoration. Why is Headlight Restoration Necessary? When car manufacturers switched to plastic headlight assemblies instead of the old glass sealed beams, they made changing your headlights much easier and less wasteful. Halogen bulbs are also much brighter than the old sealed beam headlights, making them a safer choice. Unfortunately, road debris and sun cause the plastic assemblies to gradually become foggy or yellowed, which makes the headlights appear dimmer at night. To delay this process, automobile manufacturers put a UV clear coat on the plastic headlight assemblies, but it wears off over time. Once the headlights get foggy or yellowed, the damaged outer layer of the plastic will need to be resurfaced and a fresh UV clear coat applied to protect the newly restored headlights. Headlight restoration is generally not a difficult process. Your paintless dent repair specialist should be the first place you call, as they are familiar with the process, and have the most experience with the tools and methods used to restore headlights to their former gleam. After masking the area around your headlights and any trim in order to protect it, the specialist will sand away the very top layer of plastic on your headlight assembly. Once the yellowed plastic has been removed, they will polish the new exterior layer until it is clear. Finally, they will apply a sealant over the newly resurfaced plastic, protecting it from the sun and road debris. Over time, the sealant will wear away, as your headlights are exposed to road debris, wind, and washing. You can help make the sealant last as long as possible by waxing your headlights when you wax the rest of your car. As the sealant wears away, the plastic will be vulnerable to the elements again, and will gradually become foggy and yellowed once again. At that point the headlights will simply need to be resurfaced again. Should You Restore Your Headlights Yourself? Although there are many do-it-yourself kits on the market for restoring your headlights yourself, they vary in quality and the amount of knowledge and experience required. Cheaper headlight restoration kits are fairly easy to use, but may not achieve the same clarity or last as long. A DIY headlight restoration done with a lesser-quality kit may only last a year before you notice the discoloration impacting your headlights’ effectiveness again. Better quality kits require tools such as rotary buffers or a drill and therefore more expertise, as you can cause damage that will cost even more to repair, or even have to replace your headlight assemblies altogether. Don’t risk your safety or that of your family or others on the road by driving with foggy, yellowed headlights that make it hard to see at night. Make sure you can see as well as possible, and have your headlights resurfaced as soon as you notice clouding or yellowing starting to affect the brightness of your headlights. Luckily, headlight restoration usually only requires your car to spend a few hours at your favorite dent repair shop, and then you’ll be on your way again — and able to see better than ever. ColorMate offers headlight restoration, rim repair, bumper repair and more in Miami-Dade, Broward and West Palm Beach County regions. If you need our assistance, we shall gladly step on the way to help. Schedule an appointment today with a certified headlight restoration specialist. Your car is most likely the second biggest investment you will ever make, surpassed only by the purchase of your home. Since you have spent a lot of money on it, you naturally want to keep it in as good condition as possible. Unfortunately, scratches and door dings are a fact of everyday life. You can protect your car’s paint by waxing it regularly, but damage will still get through occasionally. Luckily, just because your car gets a scratch — or worse, a dent — doesn’t mean you have to live with it. Professional scratch removal and paintless dent repair can help you to maintain your car’s appearance and extend the life of your paint. Of course, the first thing you will probably think is that you can do this yourself. While everyone appreciates a can-do attitude, the truth is good scratch and dent removal requires a lot of patience, experience, and expertise, and not everyone can be an expert at everything. Touch-up paint: Touch-up paint can be tempting. It is said to match your car’s original paint color, but it’s made by aftermarket companies, and their idea of a match might not be exactly what your car manufacturer’s idea was. Also, it’s actually a different kind of paint, so it may look different than the paint around it once it’s on, and in any case it’s hard to fill a scratch without getting lots of paint on the surrounding area — potentially turning a tiny scratch into a glaring repair. Scratch repair pens: These sound like a good idea in theory, as they should resolve a lot of the problems posed by touch-up paint. The pens generally cost less than $10, and how much damage can you do with just a little pen, right? Unfortunately, if the paint color isn’t a good match for your original paint, or if your hand isn’t steady, or if you overfill the scratch, you could still make the repair look worse than the scratch did by itself. Scratch removal kits: Many companies sell more involved kits that require multiple stages of painting and sanding, resolving the problems of touch-up paint and scratch repair pens, but the quality of your repair depends on how well you know what you’re doing. These kits attempt to mimic the results of professional scratch repair by walking you through the basic steps, but most do-it-yourselfers lack the experience and expertise to do a professional-quality job. Especially when you’re working with a high-speed rotary buffer, you can quickly turn a tiny scratch into a much bigger problem. Dollar for dollar, the best results for your money will be by hiring a scratch and dent removal professional. An expert will be able to determine how deep the scratch is, use paint, primer, and/or filler to repair the damage, and blend the repair with sandpaper and clear coat to restore the original smooth finish. A professional scratch removal job will be difficult, or even impossible, to detect, helping you to better maintain your car’s appearance, and ultimately, its value. 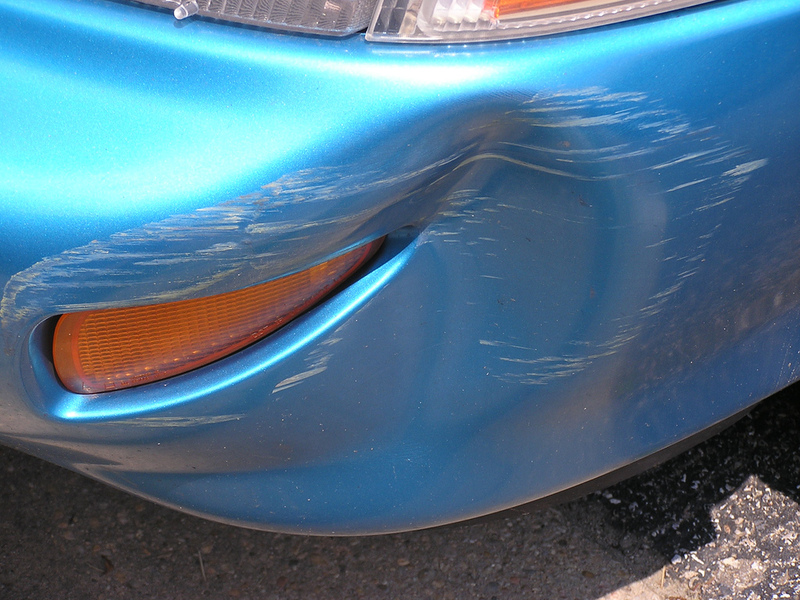 At ColorMate, we offer professional scratch and dent repair services at very friendly rates. We also offer same day car paint perfecting services, headlight restoration, rim repair, paint and bumper repair in Miami-Dade, Broward and West Palm Beach County regions. Schedule an appointment today for a free estimate from certified paintless dent repair specialist. Paintless dent removal (PDR) is a delicate procedure that requires removal and repair of car dents on a car’s body without the need to touch up the paint job or remove paint from the region. For instance, after a minor hailstorm, your vehicle might sustain few unsightly dents which may prompt for paintless dent repair. Professional dent repair services are a great solution in the event that your vehicle requires complete painting. Previously, to fix dents you needed to remove the paint entirely on the affected dented regions. Afterwards, the dent would then be removed and the car repainted. PDR skips paint removal or reapplication process meaning that you’ll be back on the wheel within a very short space of time. While dent repair has undergone great changes in the auto paintless dent repair industry, it is still a procedure that requires incredible skill and experience to master the basics to perform it perfectly. It is also called “paintless dent removal.” If you are planning to carry out PDR for your vehicle, you may need a true professional for best results. The difference between a pro and an amateur’s quality of work could mean a large sum of money for you. Rarely do PDR experts chip or crack your car’s paint. In fact, it almost never occurs. There are tricks and tips the professional can employ to prevent it. On the other hand, amateurs fail to recognize certain important factors which results in ruining the paint. Professionals accurately judge whether or not your car ding or dent can be fixed through this paintless process. Most likely, a beginner will not properly diagnose your car’s true body requirements. In this case, a minor problem may turn into a bigger one and consequently lead to higher spending. Dent repair professionals tend to look at ding and paintless dent removal as their source of livelihood. Going for a cheaper and quicker alternative is not a priority. Regardless of what you may choose, you definitely deserve an astounding mix. Also, whether you are out for hail damage paintless dent repair or you just need that old ding or dent removed; this kind of repair is most likely your best bet. Still, you might handle it at home, but the quick and low price service of a professional will be a better alternative. Remember, for paintless dent repair to work, the region can have dents and dings, but the paint should not be compromised at all. Lastly, if there is a gouge or crack in the paint, PDR may not fix that. As long as you focus the paint on the area of the dent, you might want to experience what a paintless dent repair specialist can do for you. At ColorMate, we offer professional car dent repair services at very friendly rates. If you feel that we can be of assistance, contact us for a free quote today. We also offer same day car paint perfecting services, headlight restoration, rim repair, paint and bumper repair in Miami-Dade, Broward and West Palm Beach County regions. Schedule an appointment today for a free estimate from certified paintless dent repair specialist. Your vehicle might be shiny and squeaky clean, but still lack a tastefully high gloss finish. Several things may go wrong when this job is left to an amateur, particularly if he/she is doing it for the first time. Both auto dent repair and paint polishing are solutions to repair dings, dents and other car imperfections. Yes, you might have also done away with grime and dirt from under the carriage of your car; yes, you might have also thoroughly shampooed or scrubbed the interior as required, but were you keen enough on the approach you employed when applying paint sealant or even car wax? Achieving a high gloss finish on any car is not simple task. You have to bend your back into it, buff and wipe each and every spot with care and precision. Some paintless dent repair experts also handle car paint polishing. It is important to find out the different car paint polishing and repair quotes for your car where necessary. It is advisable to go for large and established paintless dent removal and car polish experts around your region for convenience sake. The most important question that comes to mind and probably the only one is-how do pros handle it? Also, make sure the price you pay for paint polishing or dent repair is reasonable to avoid overcharging. Experienced technicians spend most of their time working, so he/she definitely has higher chances of gaining training and experience over amateurish effort. Despite this, when armed with the right tools and a little patience, you can also achieve amazing results in no time. Otherwise, find a professional paintless dent repair and paint perfecting expert to work the trick! A great finish begins with thorough car exterior cleaning. Use a conditioner and car shampoo or use clay bay for extraction of leftover dirt. Importantly, make sure you are left with a clean, smooth and fresh canvas that allows paint sealant or wax to cling onto your paint polishing job properly. Professionals that are armed with special paintless dent repair and paint polishing tools find this job very simple. At this particular point in time, it’s necessary to understand that applying wax and polishing are completely two different steps in the detailing procedure. Waxing involves smearing wax on your car while the other is about working the polish onto your car’s surface. Polishing helps encourage shining where you need it and deflects light from minor paint scratches. Also, the prices for paint perfecting and dent repair vary from one expert to another. Have rough estimates of paint polishing prior to meeting the technician. If the prices are not comparable, ask the professional for further clarification. The overall appearance should be a beautiful car that reflects light just like a gem. Therefore, the next time you go for paint polishing or paintless dent removal services, ask to see the most experienced individual to perform the task for you. You definitely want polishing services that guarantee you a high gloss finish for your car. Let us know when you need our assistance. Our representative will guide you through the entire process and afterwards offer you a free quote. We also offer same day car paint perfecting services, headlight restoration, rim repair, paint and bumper repair in Miami-Dade, Broward and West Palm Beach County regions. Schedule an appointment today for a free estimate from a certified auto paint repair specialist. Paintless dent repair (PDR), also known as “Paintless Dent Removal”, deals with dings and dents which deprive your car of its glory, along with scratches and swirls that occur in the absence of proper lighting. Regardless of whether you are dealing with a small dent, scrape or scratch, paintless dent repair can help reverse the process. On the other hand, lights help you to see whether or not the polish you are applying is broken down properly. Halogen work lights are among the most popular to use for indoor lighting and are fairly priced as well. These lights help you identify any defects in the polish stages and paint as it breaks down further. Bumper repairs are effectively carried out with smart painting and polishing, but always polish your car under controlled lighting. Sunlight does not give the best lighting in this particular case because it’s sometimes masked with haze, fog or clouds and can hide imperfections, hazing and swirls. You can only perform paintless dent repair if you have experience otherwise your car will look horrible. Alternatively, you can take lessons on how to perform dent repair so that you always do it yourself. The color of your paint, metallic or not, is an influencing factor on how easily you or others can see the flaws. Most non-metallic black cars will show everything. In contrast, metallic silver scatters and reflects most light that falls upon it, easily hiding any flaws. These principles apply to all paint jobs. Importantly, watch out for cheap car polishing, bumper repair and paintless dent removal deals that might put to risk the health of your car. Under normal circumstances, a thin dust layer, for instance, can be totally invisible. Trying to experience with a hand or anything will only induce more scratches. Under “normal” lighting conditions, a paint job will tend to appear nearly flawless unlike in more severe lighting condition which reveals water pots, dust and swirl marks also known as fine scratches. Once you properly “see” and make the surface look great under those conditions, it will eventually look awesome in natural light. Still on paintless dent removal, you can achieve a glossy car exterior appearance if you correctly employ this industry recognized process. The role of lights when polishing in this case cannot be stressed enough. Overhead lighting, such as the high warehouse skylights or fluorescent lights at a gas station during the night-tend to perform a great role in illuminating flaws along the horizontal surfaces of your vehicle, as long as there is no other light coming from any other direction. Very bright light on the surface works excellently; especially on darkened surfaces-get your good lights and experiment! If you need dent repair services, always go for those that can save you the time and inconvenience of taking your car to a paintless dent repair shop. Remember that not all cheap bumper repair deals are effective in giving you the so desired repair that will restore your car’s faded glory. Suffice it to conclude that low lighting and viewing angles from the same point nearly parallel to the surface of your car are ideal for seeing “above surface” contaminants like dust and adhered stuff such as bug poop and sap. Higher lighting angles are also great for below-surface flaws. At ColorMate, we offer same day car polishing services, headlight restoration, rim repair, paint and bumper repair in Miami-Dade, Broward and West Palm Beach County regions. Schedule an appointment today for a free estimate from a certified car paint repair specialist. Stay informed with news, events and special offers. © ColorMateAuto. All right reserved.